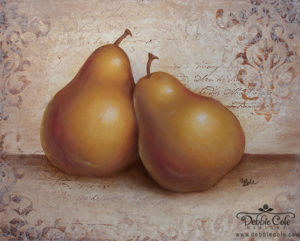 Old World Pears is an e-packet that you can use to paint this lovely design. This is a Debbie Cole original design featuring her beautiful pears using an innovative approach to create interest to the background. The digital packet includes Five photos! A large photo of the finished project and four step photos. It also includes in depth instructions, value diagrams, and a line drawing of the design. 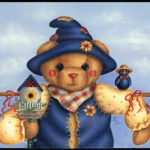 This design was originally painted on a 8″ by 10″ Masonite board and can be framed. 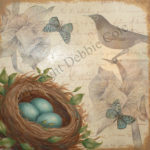 However, the design can easily be painted on any surface and would look lovely on a serving tray. A lovely design with an old world feel that will help decorate your home.